"Welcome to Five Minute Friday — the flash mob of brave writers who feverishly tap out five minutes of unediting beauty and post it for all the world to see." 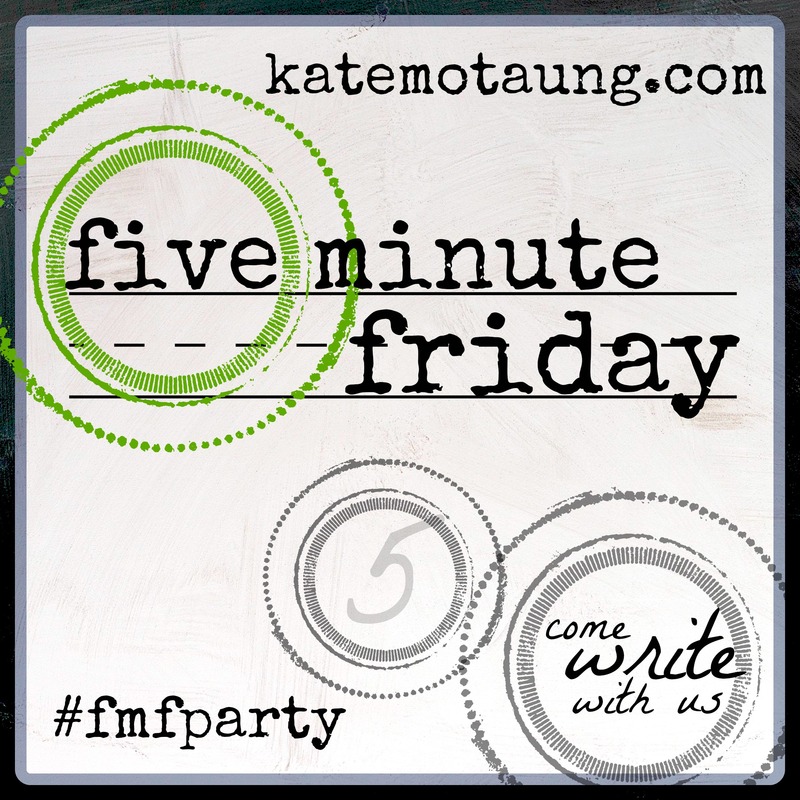 Click through the link to read more about Five Minute Friday and see how you can participate! Our writing prompt today is WHISPER. When I first saw this prompt, my first thought was of a conversation that my husband and I had this week. We talked about trusting God and taking action. When do you take action and when do you sit back ("Be still") and "Let God?" One of our conclusions was that we just need to keep praying and listening for the Lord's whispers. But then I thought of another series of whispered conversations. When my friend Meri and I were teens, we spent a lot of time daydreaming about the young men we liked. We'd get together and, in whispers, spin elaborate tales of what our futures held. We whispered about how we'd find out that they loved us, how we'd get married, how we'd spend our lives together. Of course we had no idea what the future held, and as it turned out, God's plans were much different from ours. I'm thankful for that because, although the stories we created were like fairy tales, we have found and learned so much more. We've both met Jesus and become His followers. Our real lives, while certainly not fairy tales, have been deeper and more meaningful than the stories we wove. Melissa, I loved this post. My girlfriends and I used to whisper those stories of our fairy tale lives too. :) I'm so glad the Lord's plans took the place of my fairy tales. Life is so much richer when Jesus' whispered dreams for it come true. I'm your FMF neighbor. Have a great weekend! Sharing whispers between friends, so powerful. Stopped over from the Five Minute Friday. Have a blessed weekend.